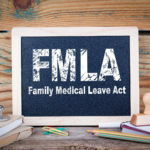 25 Years Later: Where Are We Going With the FMLA? Imagine a routine day at work. You get a phone call that your child has been in an accident and you leave immediately. The doctors tell you the injuries are serious and a full recovery will take some time.